The problem with wikis is that they are only as good as the content created and the use made of that content. Of course this sounds obvious, but it must be understood that a good wiki does not happen by simply putting it into an organisation and seeing what happens. Here’s the rub… A truly powerful wiki comes from enthusiastic participation of all the users in a wiki community. The diverse nature of that community, however, means that participation by all almost never happens! At best, a handful of contributors populate and manage the wiki content. If you are lucky, the rest of the community uses it. Even if a wiki is seen as a useful forum for information sharing, it will probably fall short of the potential value it can deliver. A friend of mine who is a talented software engineer used a wonderful little trick to solve the problem in a beautifully simple way. Whenever he was asked to explain something, or to provide help or advice, he would trade that advice for the other person’s participation in creating wiki content. In other words, “I’ll help you if you write it up in the wiki”. An organisation is full of tacit knowledge which exists in the minds of its people. This know-how has been traditionally shared through asking, through conversation, through mimicry and other forms of on-the-job training – all very inefficient and highly risky to an organisation where key individuals are concerned. By creating a genuine reason to capture this information, by making it valuable enough for someone to put into a wiki, everyone will participate for their own self interest and the greater good of the entire wiki community. My software engineering friend found a simple way to engage an entire wiki community in his organisation. Before long, their wiki become a treasure trove of tacit know-how and a significant asset to both productivity and to managing the business risk of key people’s knowledge. My sincere apologies for an article that will add absolutely no value. However, I came across a wonderful little piece of trivia I just could not help but share. Anyone who has had anything to do with digital media devices, especially digital cameras, would be well acquainted with the ubiquitous SD memory card. They seem like they have been around forever even though we first saw them in 2000. Now look carefully at the logo. Notice that the ‘D’ resembles one half of an optical disk such as a CD-ROM or DVD-ROM. The ‘SD’ logo actually stood for ‘Super Density Disc’, Toshiba’s failed DVD format. I guess someone could not see the point in employing a graphic designer when they could borrow an old piece of work that already looked the part! My thanks to Wikipedia for that wonderful piece of enlightenment! Today I stumbled across Steve Swan’s blog, ‘thinkinghow.com’. His article ‘think fast and get more ideas’ got me thinking about the problem of being ‘idea abundant’. Problem? I hear you ask! I know some very creative, inventive people who are simply un-stoppable when it comes to generating ideas. In the workplace they first come across as quirky and novel. It’s fun to have someone always coming up with another cool idea – for a while at least! We live in a world of ever increasing pressure to do more with less in diminishing time scales. If you are a peer, then that new idea turns into ‘Don’t bug me, I’m busy’. If you are a manager, then that new idea turns into ‘I have enough on my plate already’. Pretty soon that enthusiastic ‘idea abundance’ can take a beating and fade into background noise. To me this is an all too real tragedy of our busy workplaces. I believe ideas are far more abundant than we realise. Many of us have simply stopped offering them. Others seem more resilient. Ask yourself the following questions. a) How can we create an environment where ideas are offered without resistance? b) How can we grow an idea-abundant culture? c) How can we sort the trivial from the terrific? d) How can we take action when the right idea comes along? If you find yourself starting to design a system or process around these questions, then you have just graduated from the very first lesson of creativity and innovation. You need a well structured system or process if you want to consistently have great ideas and turn them into successful outcomes. A good process will encourage the contribution of ideas and reward the participants without overwhelming already burdened peers and management. In this way, the abundance of ideas will quickly become part of culture rather than the annoying banter of a resilient few! I am currently involved in a messaging migration project from Lotus Notes to Microsoft Outlook. Part of the process involved creating an installation of Outlook which contains all service packs and hotfixes recommended by Microsoft. Rather than accept each hotfix in blind faith, I was eager to learn more about each fix. Here is what I found in one instance. This update (KB953432) resolves an issue where Microsoft Office Outlook 2003 behaves unexpectedly in some circumstances. Now either this was a case of ‘too hard to explain’, or someone just got lazy. In any case it left me decidedly uncomfortable with the lack of communication. Would you blindly accept this level of communication from someone you did not trust? Do we really trust Microsoft?! I don’t think we do, yet we now religiously accept updates and hotfixes with almost paranoid fear that if we don’t, our PC will turn into virus-ridden email spamming bots. Sure there are some real threats out there we need to protect ourselves from, but not at the risk of all being lemmings headed for some looming precipice. So please Microsoft, I’m happy to use your hotfix but I want to know why and be confident I really need it. I need your communications to be useful. Of course I included it, I’m sure it’s needed, how could I not! I trust them because they are Microsoft. Is Your Digital Footprint In Order? In his recent article, ‘Congruence and life on the Internet’, Zern Liew brings to light a real sleeping giant for all of us, our ‘digital footprint’ and how it represents us in an on-line world. We all live multi-faceted lives with careers, family, friends and pastimes. It used to be very easy to keep them separate in a public sense. Web-based social spaces are becoming very much a part of these once-separate facets, with the sharing of photos with family and friends, connected social networks, connected professional networks and so on. Zern is so right about the importance of congruence and of being consistent! So much can be learned and even misinterpreted about who we are by our web presence — our ‘digital footprint’. Google a person’s name and now more than ever you will find them in both professional and social networks. Astute employers are probably already doing this and making decisions about hiring or promoting based on what they think about your presence on these sites. My advice is to plan your web presence. Think very carefully about the social spaces you join and how you present yourself there. Most importantly, as Zern points out, be consistent! Be a model of integrity. Assume any comment, post or link you make anywhere will be seen and acted on by your spouse, your employer, your family or others. If you have congruence within your digital footprint, people will trust that you are as you appear. If not, people will be unsure and your relationships and opportunities may suffer. In the traditional employer-employee world, this contentious question causes much angst. It can cause dissatisfaction, breed resentment and damage self-confidence. The business community at large has gone to great lengths to establish ‘award’ schemes with standard pay rates for defined tasks. Business benefits because it can predict the cost of doing business. Employees who are not in a position to negotiate for themselves benefit. The world is full of many products ranging from simple to complex, each of which has sprung from an individual’s imagination. Are these people worth more than an employed web designer who has created a money-spinning site for her company? Are they worth more than an industrial designer who solves a multi-million dollar packaging problem for his company’s product distribution? We value people or organisations who we perceive as having provided something we desired. That value is then distributed back through all who have added to it along the way. There is often very little correlation between the steps of added value and how they are rewarded or what they are worth. The result: if I am employed there is often no real link between my worth and the value I create. When a business employs someone, it is making an investment for which it expects a return. The business takes the responsibility and the risk and therefore deems the cost of the employee should be low – not very different from how that business generally goes about making its investments. The employee, on the other hand, may see large profits from his contribution and often forgets that his risk is minimal. No wonder huge chasms are created between employers and employees. Historically, being rewarded fully for the value you’ve created has only been realised by getting out there and doing business for yourself. Even this, however, is a poor indicator of your worth. The right or wrong mix of opportunities and how you deal with them can result in anything from remarkable success to spectacular failure. A failed start-up venture risks de-valuing your self-worth and sending you scuttling back to the ‘safety’ of employment. I’m Going To Do It. How Should I Charge? If all you do is offer your services to a business but continue to behave like an employee, the business still takes the responsibility and the risk. You are adding value by removing the overhead structure that the business might otherwise have needed. You add value by bringing skills and experience which the business might not have; you bring opportunity associated with their need and your availability. In this case the business will still expect to pay some kind of market rate for your service. The rewards will be significantly better – but they won’t be fantastic. How Can I Reap More Of The Value? Put simply, if you want to be rewarded directly for the value you create, you need to change your mindset from that of a practitioner to that of a business. This means taking on some of the risk and the responsibility – maybe even all of it – yourself. Only by assuming risk in a business undertaking will you have a valid claim on the final delivered value. Your risk could take many forms. For example, you might offer a money-back guarantee linked to measured sales, savings or increased productivity. You might contribute some form of equity or even your own capital. Whatever shape the deal takes, you will need to be sure that it works for you, which is no different from any other business-to-business dealing. And you will need to make sure that the deal is managed under a legally binding contract or you may find yourself in the unfortunate position of witnessing that value slip away in legal arguments. But that’s another story. Regardless of your potential, your worth to others is based on the value you create. If you’re not prepared to take risks, your reward will be at the going market rates. On the other hand, if you really desire to be rewarded for the true value you create, take on those risks yourself and reap your true value. Your Worst Customer Might Just Be Your Best Innovator! As a new product innovator I understand the problems supporting new products and services. Even doing your best, you still end up with a handful of customers who will complain to the point of being obnoxious. Have you ever found yourself no longer listening and simply wishing they would go away? It is a well documented fact that most people will never tell you what they think of your product. They may love it, hate it, discard it, replace it or ignore it but almost never will you ever know. Welcome then with open arms the customer with the enthusiasm to complain. Complaining customers are a drag, consuming valuable resources and exacerbating support. Complaining customers are also your strongest link to your product or service in the real world. When taken seriously, when brought into the innovation cycle, when legitimised and valued the very same protagonists may become both your best source of new ideas and your greatest advocates. Complaining customers think critically about how a product or service either falls short of expectations or fails in a real life application. Complaining customers have the time and enthusiasm to let you know about it. Most importantly, complaining customers will keep on complaining or contributing if you engage them and keep them involved. Give your worst customer credit for raising issues. Let them know when you have used their ideas in new products and revisions. Not only will you benefit with better and innovative new products and services, you will gain both an advocate for your product or service and free marketing for life! There is no doubt about the amazing change email has made to collaborative work. It has rapidly become the mainstay of our working communications but with it brings problems. Aside from the much publicised (and rightly so) social problems companies and individuals have to manage, there is one which many either fail to notice or if they do notice it, it is just too hard to manage. I call this problem the ‘email black hole’. A wiki might be just the thing to shine some light down there. A wiki is a page or collection of web pages enabling all who have access to contribute or modify page content using a simple markup language. Wikis are a great way to create collaborative websites. Although the encyclopaedia Wikipedia is one of the best-known wikis, businesses can easily create their own so that internal knowledge can be shared. So every time you answer a question in an email and you think the content of that answer would be valuable to others, consider creating a wiki for your company or project and putting it there instead. It is amazing how quickly it will become a valuable and easily accessed resource for all rather than spend endless time digging through old emails. Why is it that the same task given to two equally talented individuals is likely to take completely different amounts of time to complete? Popular opinion would have you believe it is all about focus! We work in a world of distractions. The phone never stops ringing. The emails never stop coming. The interactions with work colleagues are never ending. The open plan office is always noisy. No matter which way we turn, there’s a distraction. How is it possible to stay focused? It is a wonder we actually complete anything at all. Or is it? Consider this: how is it that some of us can stay focused and others can’t? Why do we accomplish some things quickly and other things seem to take us forever? One simple word … desire. Desire is truly one of our most powerful internal emotional drivers. Desire will take us out of our comfort zone. Desire will make us ignore even the most persistent dissenter. Desire will fuel us through the most desolate terrain. Desire will keep us on track until desire is fulfilled. If you are doing something because you ‘have to’ rather than because you ‘desire the outcome’, you will actually welcome any distraction which comes your way. Distractions themselves become the desired respite from something you just simply may not be that interested in doing, no matter how much you try and convince yourself otherwise. Staying focused without desire is a huge effort. So desire the outcome before even thinking about ‘the how’. When your desire is strong enough, your focus will follow. The how, the work, the attention needed and the outcome you desire will result. I am sure that this is not the message the vendor intended to send to thousands of Sydney travellers recently. There it is though, the exasperating Microsoft ‘blue screen of death’ we all know and love to hate, leaving countless passers-by wondering who is the least competent player here. The vendor? Sydney Airport? Microsoft? We users have come to terms with the blue screen of death and live with it in our day-to-day computing endeavours. What creative strategies we have developed to manage the problem, ranging from calling IT support to cycling the power switch. And we do it immediately! Placing in public a product that not only runs the well-known risk of crashing, but has no-one or no way to correct such a problem immediately, is just plain risky. I wonder how many people got the message ‘incompetence’ before this display was corrected? b) what is the impact of this product failing? If risk and impact are low, the risk is inherently well managed. If one of the answers is high and the other low, a judgement call is needed to manage the risk and its implications should be well understood. This is clearly an example of high risk and high impact. Need an Idea? Just Ask. Please pause for just a moment and ask yourself these three questions. 1. Why am I here reading this article? 2. What do I hope to learn from reading this article? 3. What will I do with what I have learned? Make sure you have really thought about these questions. Go back and ask yourself those questions again. Now, let’s word these questions a little differently. 1. How do I find the knowledge I desire? 2. How can I get the most from reading this article? 3. How can I apply what I have learned to achieve my goals? Do you notice something different happening when you ask yourself these new questions? Ask them again, say them out aloud and then write down your answers. Our heads are swimming with ideas all the time. We experience an endless stream of wonderful external and internal events. In every moment our brains are responding, creating, affirming, story telling, excuse making, planning, avoiding, engaging, contriving…and on and on it goes. It is amongst this chaos we look for ideas; no wonder we often end up wondering if there is an original thought or idea in us anywhere. Now, go back and look at the language of the first three questions. Then look at the language of the second three questions. Which three made you feel more connected with what you really want? Which three inspired you with confidence that you can achieve your goals? Which three gave you new ideas? Your creative mind is only too eager to do your bidding. It’s literally champing at the bit to help you. And it loves answering questions regardless of how useful those questions actually might be. Next time you find yourself between that ‘rock and a hard place’, take a good look at the questions you are asking yourself and the language you are using. Maybe all you need to do is ask a different question. The information appearing on Robert Rath’s site ‘Innovation Mentor’ is of a general nature and is not to be relied upon as being complete, accurate or up to date. The information is subject to change by Robert Rath at any time without notice. If you require confirmation of any information please contact Robert Rath. Subject to any terms which can not be excluded at law, Robert Rath accepts no responsibility for any loss, damage, cost or expense (direct or indirect) incurred by or as a result of any error, omission or misrepresentation in any information on this Site. Robert Rath is not responsible for the content of any site linked to this Site or services provided by third parties as a result of information/services provided in relation to this Site. Sites or third party services which are linked to Robert Rath’s Site should not be construed as an endorsement or any other type of representation by Robert Rath regarding the goods or services offered by that third party. This Privacy Statement applies to your use of Robert Rath’s Site. The use of this Site implies you consent to this Statement. Please contact Robert Rath if you have any concerns regarding this Statement. 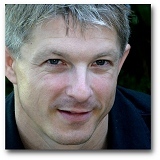 Robert Rath is a dedicated technologist, creative designer and innovation advocate. He is sought after by start-ups and large corporations alike for his depth of skill and breadth of capability. He has extensive experience in new product design and development, operational systems and the development of business innovation. Robert has a proven track record in technical and innovation leadership, in the evolution of business processes, in managing intellectual capital creatively and in taking ideas through to commercially successful products. Robert is passionate about innovation: innovation in technology, innovation in business and innovation in the way we live our lives and how we interact in the world. In 2009 through 2010 Robert created a range of Internet appliances for home automation, access control, near field RFID and biometric security for both Australian and international companies. In 2008, Robert created for Australian company PeopleKey a scalable engineering platform for the ongoing development of the PeopleKey range of biometric products. The Linux-based platform includes Subversion, Trac, Eclipse and VMware server to host all hardware, software and security design activities in a secure and scalable environment. This gave PeopleKey full control of all internal and contracted operations. In 2007, Robert designed from the ground up a new biometric internet appliance for PeopleKey using a MIPS32-based MCU and Linux as the host operating system. He ported the customer’s existing application code from its original ARM7 sources, created new hardware drivers and substantially enhanced the features and user experience of the product. Robert was also responsible for commissioning the Chinese manufacture of the product including BOM specification, assembly structure, firmware management and production programming. Robert co-founded joint Australian/Hong Kong start-up company TDA Tech in 2005, which now provides OEMs with products and security capabilities for digital transactions on devices and home network appliances. Robert recruited the Australian engineering team, created its underlying operational structure, managed the Australian software and hardware design teams, and coordinated the configuration management of the Chinese engineering team in Shenzhen. Prior to 2004, Robert provided design, operations and business assistance to companies such as Deloitte, Gerard Industries, Carrier Air-Conditioning, Brivis Climate Systems, Sonic Innovations, Tekelek Australia, Tekelek Europe and others. His engineering and business development roles involved international representation in the USA, Europe, Singapore and China. Robert is also a prolific web publisher, and writes about creativity and innovation. He is fascinated by the way that we are now using on-line collaborative tools such as blogs, wikis, forums and other social networking sites for learning and sharing our ideas. Although Robert’s technology, innovation and business transformation journey began formally in 1985 with Clipsal, he has always been – and continues to be – fascinated by, and involved in, the ‘the next new thing’.